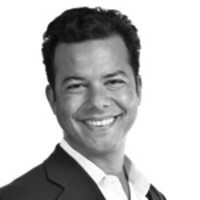 The Bush-Cheney '04 tactics won't work for Obama, says John Avlon. The buzz is that President Obama is going to use Bush-Cheney ’04 as his re-elect model. This is a bad idea on at least five different levels. First, the hallmark of the BC-04 campaign was play to the base in battleground states. But here’s a fact that Democrats hate to face—41 percent of Americans self-identify as conservative while just 21 percent call themselves liberal. This 2-to-1 margin is a fundamental fact of American life, and it helps explain why Democrats need the center to succeed—they just don’t have the votes to get within shouting distance of an outright majority by simply playing to their liberal base. This is especially true in 2012 battleground states like Colorado, Florida, Nevada, New Hampshire, North Carolina, Ohio, Pennsylvania, and Virginia. (And if anyone wants to dust off FDR or LBJ’s landslides as a counterfactual, remember that the largely extinct tribe of conservative Democrats dominated the South at the time). Second, Bush’s ’04 campaign wasn’t particularly successful by historical standards. He won with 51.7 percent—the lowest percentage of the popular vote of any victorious Republican incumbent in American history. By contrast, Nixon and Reagan won their reelections with 49 states under their belt. A shift of 61,000 votes in Ohio could have swung the election to Kerry. Yes, the 2004 reelect was a landslide in comparison to Dubya’s 2000 election, but a Republican president in a center-right country with a generally steady economy should do much better, especially with the rally-round-the-flag effect of a nation at war. The fact that Bush did so badly against as unsympathetic a candidate as John Kerry speaks to the fact that this self-styled compassionate conservative ignored the center almost as soon as he was elected. To be sure, our political system doesn’t distinguish between a 1 point victory and a landslide on the presidential level—a win is a win and second place is oblivion. But BC ’04 is an odd place to look for inspiration. Third, Bush’s play-to-the-base strategy in 2004 had the unique benefit of also resonating with independent voters at the time, according to the campaign’s chief strategist, Matt Dowd. “Our core message was compelling for independents as well—‘George W. Bush is strong and decisive leader.’ ‘He’s protected you.’ ‘We haven’t been attacked since 9/11,' ” Dowd told me. “Those messages were compelling for motivating the base but they were also compelling for independents. We didn’t have to have a bifurcated message. But the message that might motivate the Democratic base could alienate independents this time around.” It’s tougher for a president to make the case that "the economy could have been worse" than "we haven’t been attacked by terrorists again." Fourth, for all David Axelrod’s talk about making this a “choice” election as opposed to a referendum on President Obama, the conditions aren’t right for such a strategy, according to Dowd. “One of the reasons why we could do a choice election was because when I went back and looked, every president with a job approval rating above 52 got reelected. And every president with a job approval below 45 lost.” The middle ground is what makes it a jump ball election, a choice between the two candidates, rather than a referendum on the incumbent, Dowd explained. And President Obama’s approval rating hasn’t been above 45 since July. Fifth, a “choice” election depends on a candidate with clearly contrasting character attributes—and while Bush contrasted well with Kerry, the same isn’t necessarily true with Obama and the presumptive nominee Romney. “You can already tell they're trying to make Mitt Romney into the Republican version of John Kerry,” Dowd explained. “They're actually using the same terminology that we used. You know, flip-flopper, doesn't have a core, you can't count on him, no authenticity ... But one big difference they have is that no matter what people thought of what was going on in the country during 2003 and 2004, they always perceived Bush as a strong and decisive leader ... Obama's problem is that he doesn't have a huge reservoir of the opposite value. At a time of great anxiety related to the economy, the public's not sitting out there and saying, ‘I don't like where he stands on a bunch of issues, but he's a strong and decisive leader.’ They say, ‘I agree with him on a lot of the issues, but he seems beleaguered, not that strong.’ ” Running literally the same script as Bush in 2004 might not be the wisest idea for Obama in 2012. The balancing act in politics is inspiring the base without alienating the center of the electorate. Ultimately elections in America are won by the candidate who connects with moderates and the middle class. Thirteen months out, it is clear that President Obama has an uphill climb toward reelection ahead of him. His greatest asset is the weakness of the Republican field and his still-high personal approval ratings. But everything from job approval numbers to the unemployment rate to the consumer price index bodes badly for the president. If he wins reelection, it will be a much narrower victory than he enjoyed in 2008. Swing states like Indiana and North Carolina are unlikely to come back into his fold. He won independent voters by 8 percent last election but now his independent approval rating is underwater at 37 percent, with Mitt Romney carrying a 55 percent approval among independents in a head-to-head contrast. Reaching for the last presidential reelect playbook smacks of a lack of imagination by Team Obama. Yes, the president needs to reignite support of his progressive base, which has suffered because of unrealistic expectations that collided with an enduringly bad global economy. But while playing to the base might feel good to Democratic Party consultants, a look at the national numbers shows that it threatens to take a long-shot and make it worse, guaranteeing a razor thin reelect at best by focusing on the base at the expense of independents and the center.